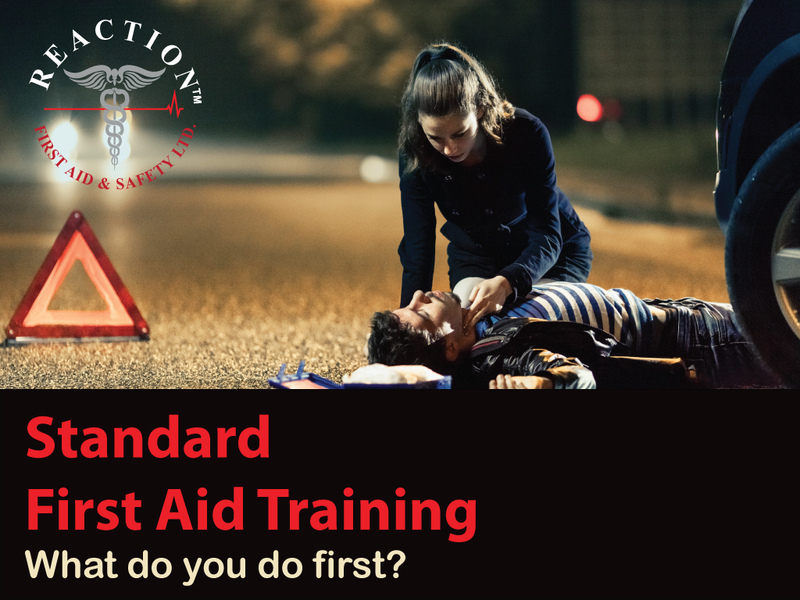 Standard First Aid Car Accident - Reaction First Aid & Safety Ltd.
Is the person responsive? No? Call 911 Use your cell phone or have a bystander call. Find out how to check the ABC’s by becoming Certified in Standard First Aid. Or click here to view our upcoming training schedule and our other courses available at our training hall. Reaction First Aid & Safety Ltd. prides itself in being the leading training facility providing First Aid & CPR training and Certification. Register today and become certified or re – certified in CPR / AED, Emergency First Aid, Standard First Aid, SFA HCP (Health Care Provider), Emergency Child Care First Aid, Standard Child Care First Aid, Workplace Emergency, Marine Basic First Aid and Standard Workplace Emergency First Aid.